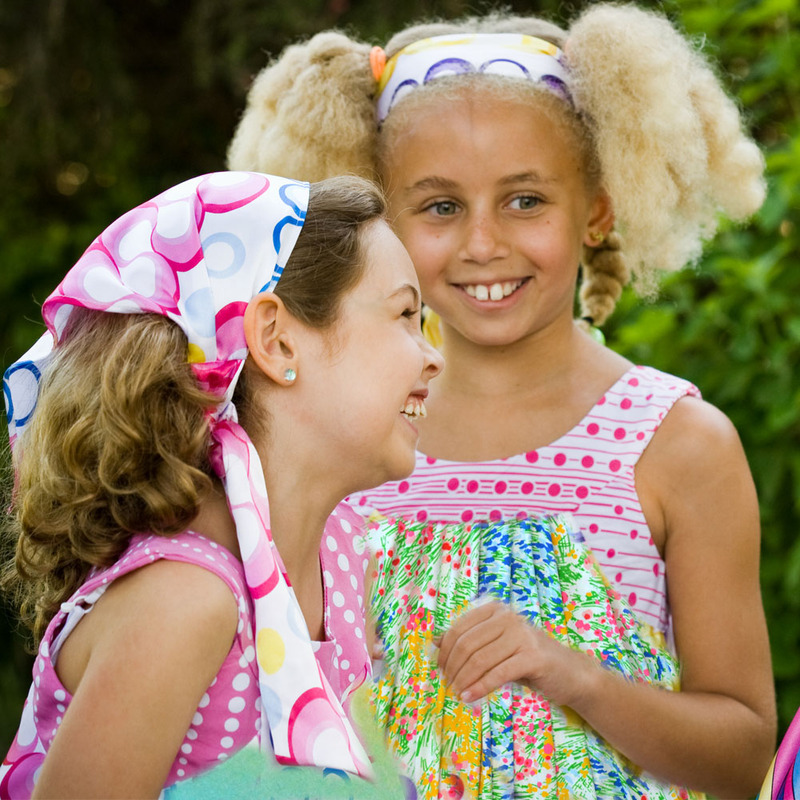 It's so much fun to accessorize any TwirlyGirl outfit with these very special headbands and bandanas. The long ties attached can be wrapped around a pony tail or left to hang loose. They can also be tied in the back to cinch the band tighter. The elastic in the back is fully covered so it's super comfortable to wear, just like all our clothing!